Nuclei stained with DAPI (blue). 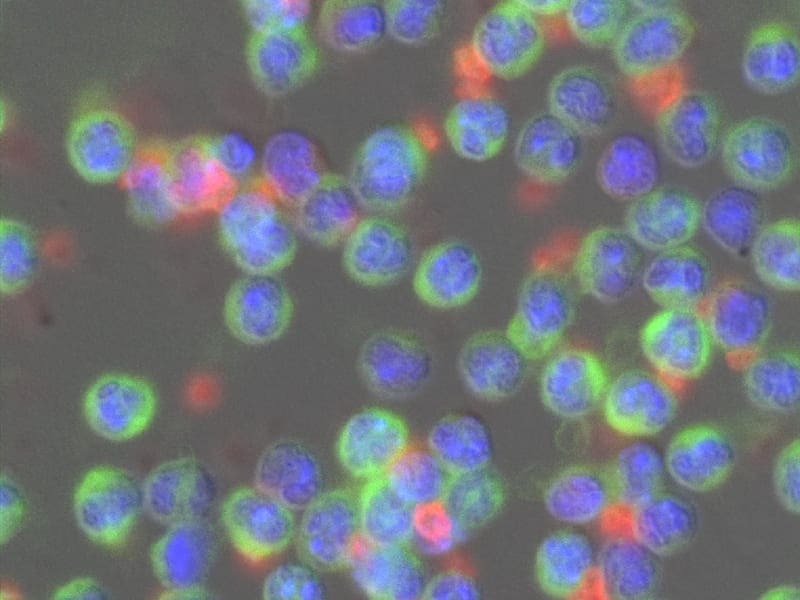 Neutrophils stained with FITC-conjugated anti-GR-1 antibody (green). CD41 glycoprotein stained with (primary antibody) PE-conjugated anti-CD41 antibody (red).